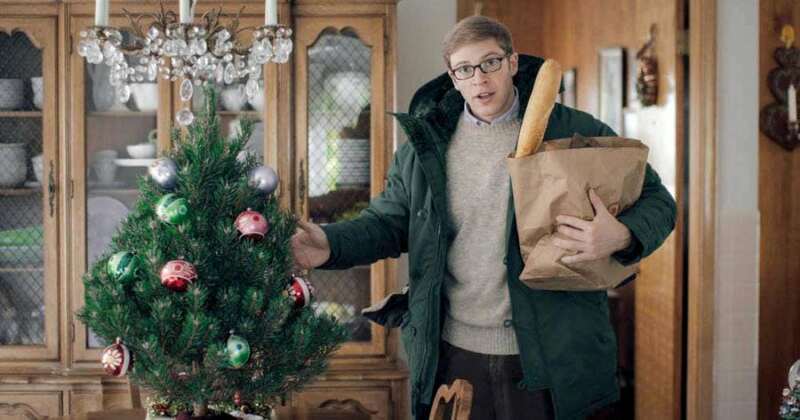 Not only has New York comedian Joe Pera’s Adult Swim program garnered respectable ratings and oodles of critical acclaim in its first season, it’s also given viewers a look at life in Michigan’s Upper Peninsula. It’s one of the year’s most refreshing new comedies, and it’s perfect for parents and kids home from college to watch together after, say, a big turkey dinner. The soft-spoken and endearingly unconventional lead plays a middle school choir teacher, who was born and raised in Marquette and, to quote the character, is “just in awe of Michigan’s geological splendor.” Though filming was split between Marquette and Milwaukee, Wisconsin, last year, the U.P. is a clear focal point of Talks With You. Upper Michigan’s largest city is used to familiarize viewers with the kindly, old-fashioned protagonist and self-proclaimed “rock hound.” Over the course of nine heartwarming and side-splitting episodes, Pera takes a fall drive and visits one of the peninsula’s estimated 300 waterfalls to restore his soul. He dresses as Marquette County prosecutor and Anatomy Of A Murder author John D. Voelker on Halloween, shops at Econofoods, enjoys whitefish at Thill’s Fish House, and doles out facts about Superior Dome (“the largest wooden dome in North America”) and the important role Northern Michigan iron played in the nation’s development. Fittingly, this unexpected breakout comedy relies on a largely overlooked—or downright unknown—region to introduce an audience to the odd, upbeat, and undeniably likable character who’s proud to call Marquette home.